Menu's Tearoom Club Chair is a design by Scottish designer Nick Ross. His work was inspired by Charles Rennie Mackintosh's Willow Chair, designed in 1904 for the Willow Tearooms in Glasgow. As with many of Mackintosh's furniture, the designer was much more concerned with sculptural aesthetics than with comfort. Nick Ross saw unused potential in the design and decided to further develop the essence of the Willow Chair. 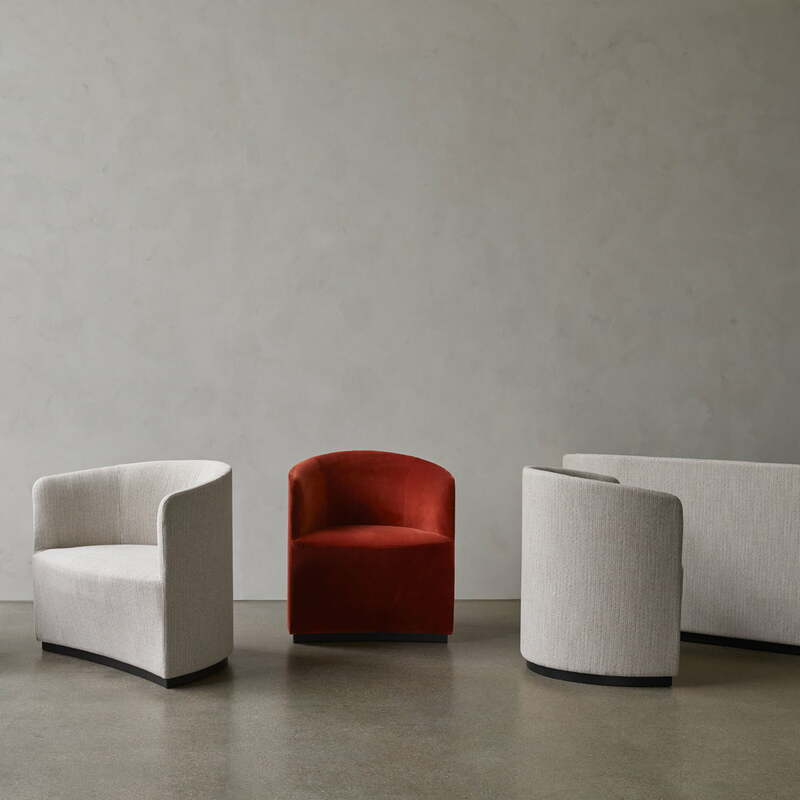 The result is an armchair with soft curves that stands for minimalist luxury. Simple geometric shapes determine the design, which blends into the home dining room as well as the catering area. A stable wooden construction with several layers of foam and reinforced with Nosag springs provides a combination of robustness and comfort. 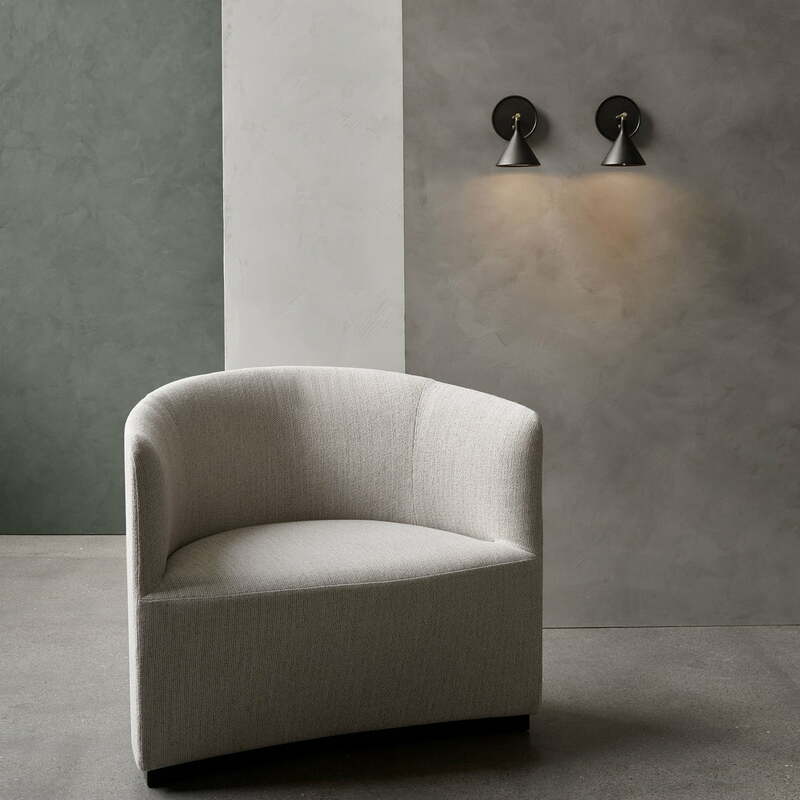 The elegant armchair can stand alone, be stylishly combined with a side table or integrated into an existing seating group. 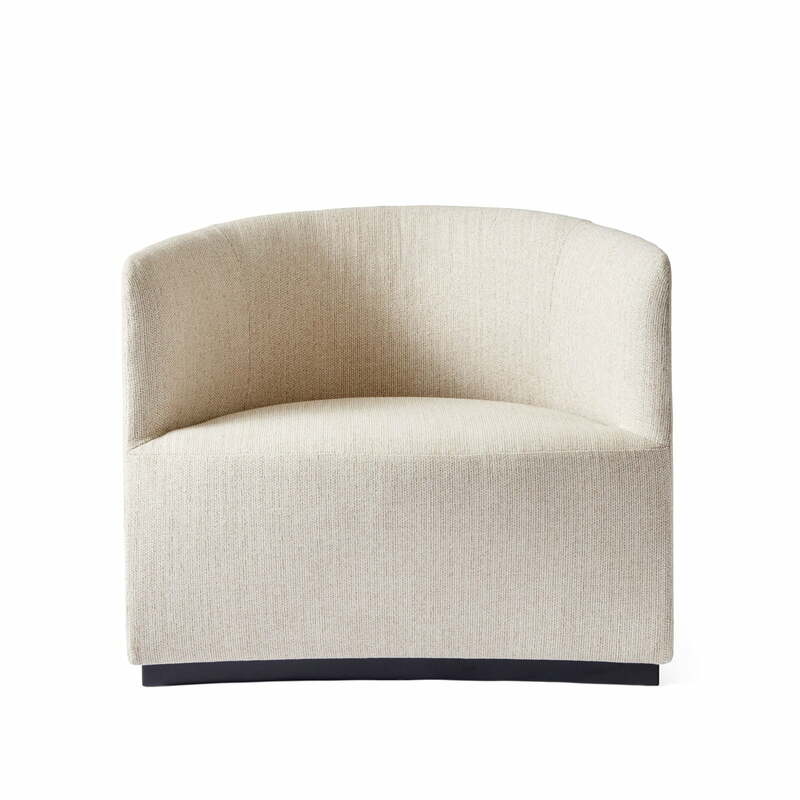 The Tearoom Club Chair is available in a variety of fabrics that can also be combined wonderfully. 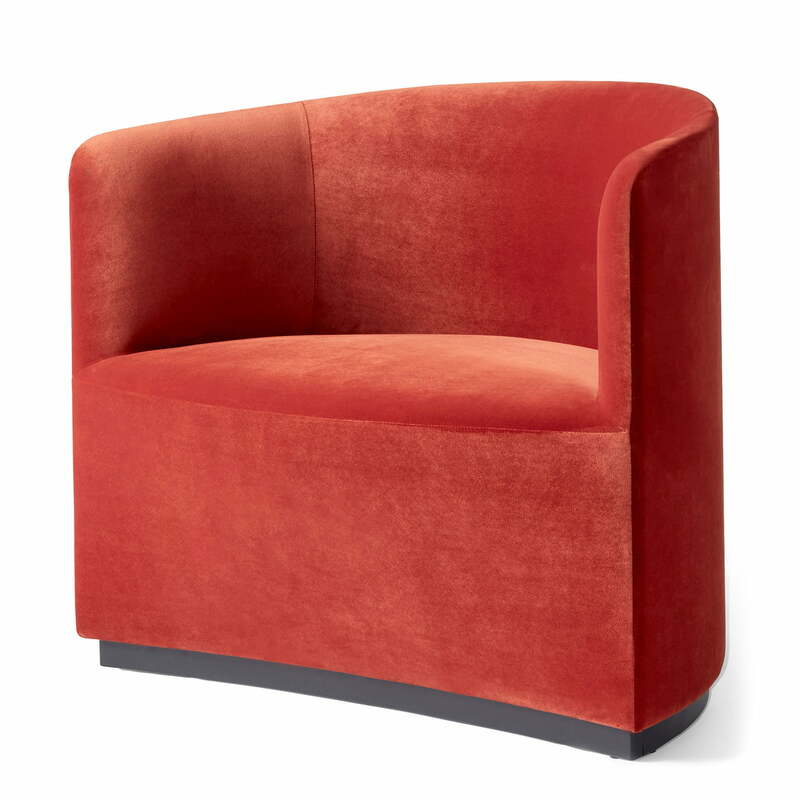 Tearoom Club Chair in velvet red (City Velvet CA7832/062) from Menu in single view. 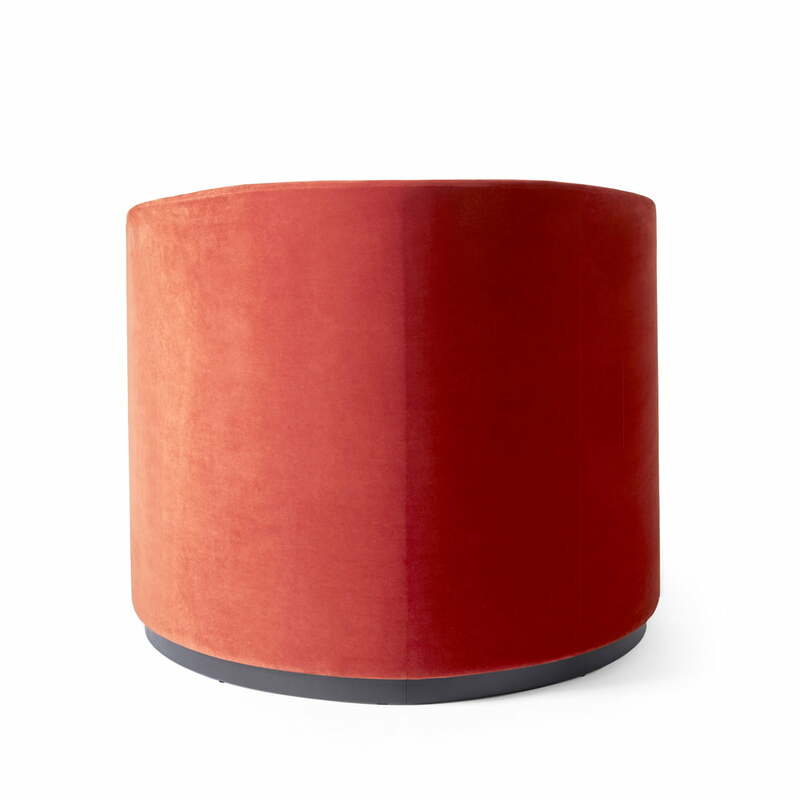 Menu's Tearoom Club Chair is a design by Scottish designer Nick Ross. 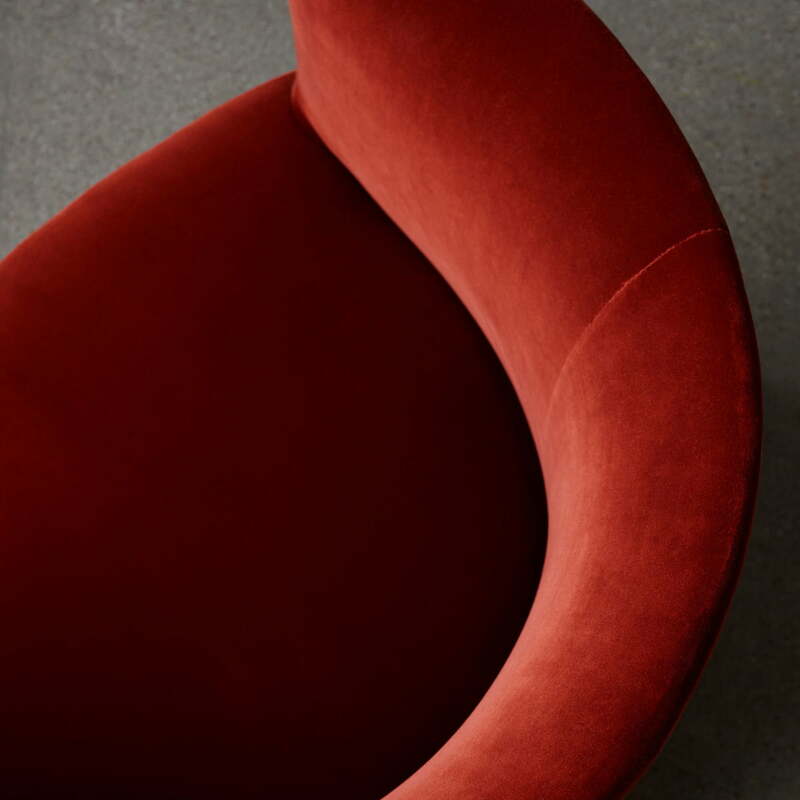 The result is an armchair with soft curves that stands for minimalist luxury. Tearoom Club Chair by Menu in single view. A stable wooden construction with several layers of foam and reinforced with Nosag springs provides a combination of robustness and comfort. Harbour Column bistro table and Tearoom Club Chair by Menu in the ambience view. 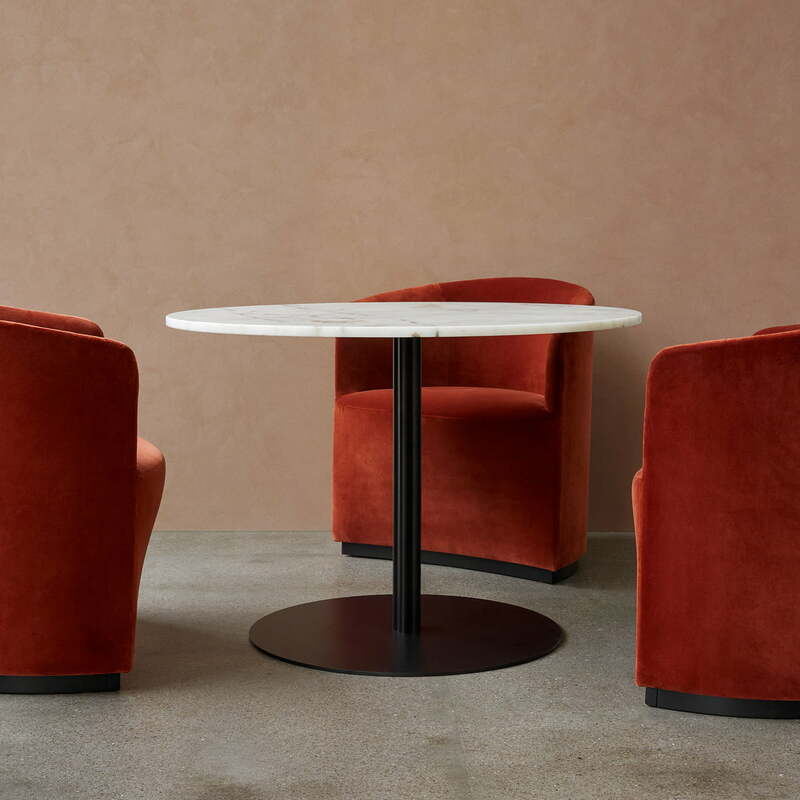 The Harbour Column bistro table and the Tearoom Club Chair are ideal for use in the home kitchen, but are also excellent in cafés, lobbies or restaurants. Cast Sconce wall lamp from Menu in the ambience view. In addition to the Tearoom Club Chair on the wall, the Cast Sconce wall lamp becomes a stylish reading lamp.